On March 1, Continental ended all free snacks in economy class. The airline expects the move will save $2.5 million a year. AirTran, Delta and Southwest still have free pretzels, Biscoff cookies and peanuts. Frontier has baked-on-board chocolate chip cookies served after 10 a.m. 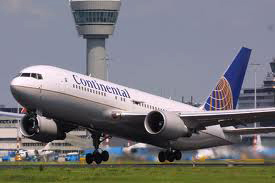 The United-Continentals recently announced that continental jets would eventually be outfitted with United’s “Economy Plus” seats, which offer more legroom for an extra fee.